This year, Computer Science Education Week, held in recognition of the birthday of computing pioneer Admiral Grace Murray Hopper (December 9, 1906), is being celebrated this week, December 5-11. Computer Science Education Week (CSEdWeek) is an annual program dedicated to inspiring K-12 students to take an interest in computer science. Code.org , a non-profit organization dedicated to expanding computer science education, organizes the annual Hour of Code campaign which has engaged 10% of all students in the world, and provides the leading curriculum for K-12 computer science in the largest school districts in the United States. 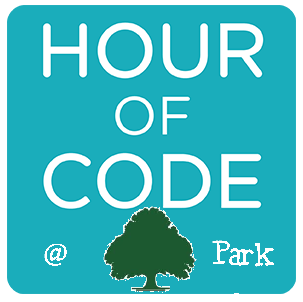 In celebration of CSEdWeek, Park students from PreK through Grade VIII will be participating in an Hour of Code event. Students in PreK will be working with BeeBots. Students in Kindergarten will be using Kibo robots. 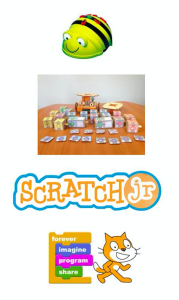 Students in Grade I and Grade II will be creating math world problems in Scratch, Jr.
Students in Grade III through Grade VIII will be working in the Scratch programming environment.